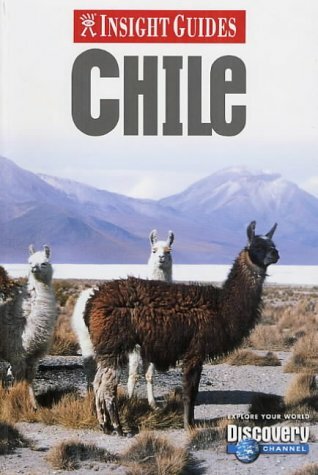 Describes the history, culture, land, and people of Chile, and includes tips on travel, accommodations, restaurants, and sightseeing. Since 2000. Hammond, American Map, Langenscheidt Dictionaries, Insight Travel Guides, Delorme – the famous names in the Langenscheidt family. These represent the most authoritative, up-to-date, and extensive travel and reference products available. In January 2003, the renowned Berlitz Publishing became part of the Langenscheidt Group. The Langenscheidt Publishing Group, the premier group of map and travel companies, offers over 4,000 North American and international street maps, road maps, atlases, language-learning, bilingual dictionaries, and travel-related products covering countries, cities, and languages in every continent. Thank you for your business. All orders are processed within 24 hours unless there are unusual or mitigating circumstances. Unless we inform you otherwise, this is also your confirmation of shipment. Please be aware that media mail within the United States can take upwards of 7-21 days to be delivered despite the earlier or later delivery times that major internet sellers may indicate. (Shipping during the holiday season and when there is inclement weather almost always adds additional shipping time to these estimates.) Sometimes media mail can arrive in just a few days but the postal service offers no guarantees on the time required for media mail. If you have requested expedited service, you may expect to receive your order within 2-4 days. Postal tracking and delivery confirmation is used on all orders except replacement shipments for lost orders and APOs. Media mail tracking, generally speaking, notifies the recipient and the shipper only when the package arrives in the customer's zip code-not necessarily that it has been received by the customer. Customers, however, can at least verify that the postal service has been notified of a pending pickup. International orders should arrive within 10-30 days depending on the country of destination. We have had some recent issues with customs delays, in some countries, due to security enhancements, so please be patient if your order seems to take longer than usual to be delivered. This is an automated message. Should your question concern another issue, you will receive another email as soon as possible. Address: Front Royal, VA, U.S.A.